It’s Back-to-School season and that means the task of packing school lunches is right around the corner. I pulled together a list of our School Lunch Must Haves. Grab these items to help make packing lunches a breeze. And stay tuned! Next week I’ll share some school lunch ideas to help you fill you lunch boxes with yummy, healthy things your kids will actually eat! EasyLunchboxes are my favorite lunch containers. They come in a 4-pack so I can send one with each kid and have two in the dishwasher. The lids are secure enough that they don’t pop off easily yet they are not too tight for little hands. My kids have no trouble opening the boxes themselves. These are less wasteful that the endless brown paper sacks and plastic bags and BPA free. I also love how sturdy they are. I haven’t needed to buy new ones since I bought a set 18-months ago! Choose from 3 different color sets. Prefer something leakproof? Try these. The EasyLunchboxes themselves are not leak proof. This is usually not a problem for me because I rarely include things that might leak everywhere. But on the rare chance I do, I just grab one of these Mini Dippers. These don’t leak and my kids can still manage to pull off the lids. They fit perfectly inside the EasyLunchboxes too so there’s no need to pack everything separately. Sometimes I need to separate items within the compartments of the bento box but I don’t actually need a lid. So I use these silicon cups. They are supposed to be for muffins but I don’t actually ever use them for that. Just lunches! I use them to keep crackers or cheese cubes separate from sandwiches or separate fruits and veggies. 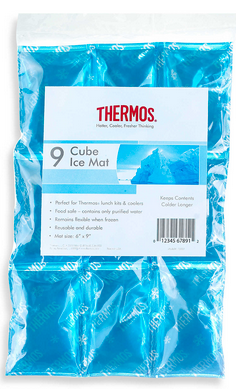 These Thermos Ice Mats are the best ice packs to use with EasyLunchboxes because they fit exactly underneath. I toss one in the bottom of the lunchbox and stick the EasyLunchbox Bento Box on top and everything stays cold and perfect until lunch! They are so inexpensive too. I have 5 or 6 mats and I just rotate them in the freezer. They also fit perfectly in the sides of my Thirty One thermal lunch tote. These little veggie cutters are so fun. I use them to cut shapes into fruits, veggies, cheese and even lunch meat. It’s so fun for the kids to see their food in different shapes. They come in a 6-pack and feature a cat, dog, pig, elephant, dolphin and penguin. I also have a project in the works to try and make homemade crackers with these cutters. I’ll keep you posted if it works! 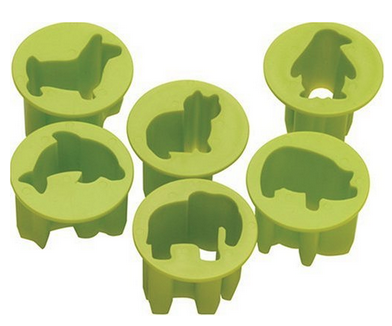 Here’s another fun lunchtime idea, cut your sandwiches into shapes with these sandwich cutters. 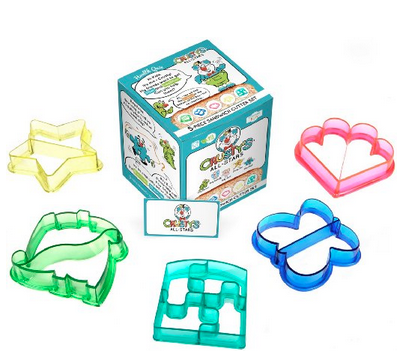 This particular set comes with 5 different cutters: star, puzzle, dino, hearts and butterfly. We have this one but with two boys I find I mostly use the dino and puzzle cutters. I can only get away with hearts at Valentine’s Day. And butterflies are a no-go around here! If you want something more generic, try this set from Munchkin. If you want to send soup, pasta or something hot with your kids in their lunch these Thermos FOOGO jars are the way to go! These vacuum seal and keep food hot for up to 7 hours. The reviews on this item are fantastic and you’ll see people rave that sometimes the food is even too hot at lunch. These are a little pricey but I don’t send hot food often so we only have two, one for each kid. You can find cuter alternatives here and slightly cheaper alternatives here but neither have as many good reviews as the FOOGO Jars. 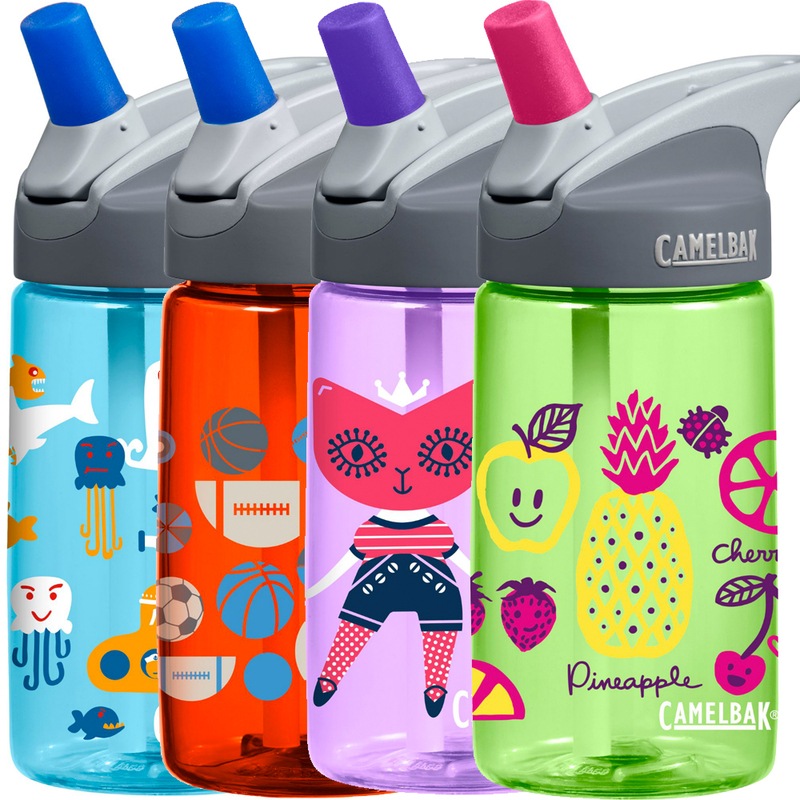 If you need to send a water bottle with your kids to school, our favorite are the Camelbak Eddy bottles for kids. They come in lots of fun designs (even more here.) You can grab them at Amazon, Target and REI. They hold up really well but just in case, it’s really simple to grab replacement straws and bite valves. 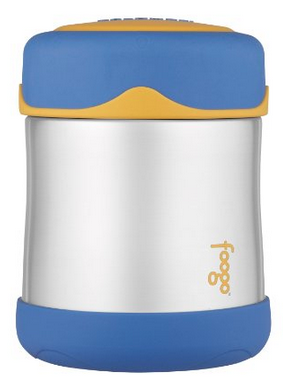 We also buy the Contigo Kids bottles. You can usually find 3-packs similar to these at Costco in early August for around $15. I find the valves don’t hold up as well and there are more parts to clean but they are inexpensive at Costco. Labeling all the boxes, bottles and lunch bags are a total must. You want that stuff to make it back home! We love Mabel’s Labels because they are microwave and dishwasher safe. I stick them on our water bottles and bento boxes and they don’t come off. Since we need labels of all different sizes I love to grab the Ultimate Back to School Combo. 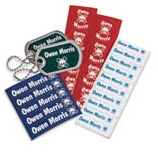 It has three different size labels and some mini tags to attach to your bags. We buy a set every year. They often run specials during the summer months with $5 off many of their popular combo packs! 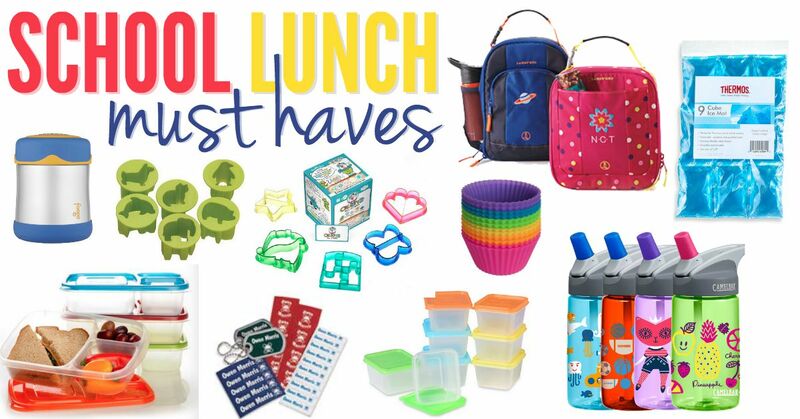 Every kid needs to kick off the year with a fabulous lunch box. 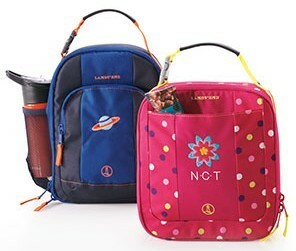 Our favorites are the soft sided lunch boxes from Lands’ End. They come in tons of cute designs, they are insulated and best of all, they fit the EasyLunchboxes bento boxes and Thermos Ice Mats perfectly! New recently is the side pocket for a water bottle. I’m excited about that addition! Plus, Lands’ End almost always has coupon codes which makes them really affordable. I’d love to hear what other School Lunch Must Haves are on your list. 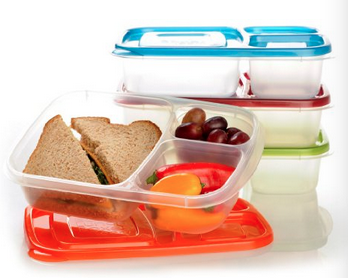 Do you have any favorite supplies you can’t live without for packing lunches? 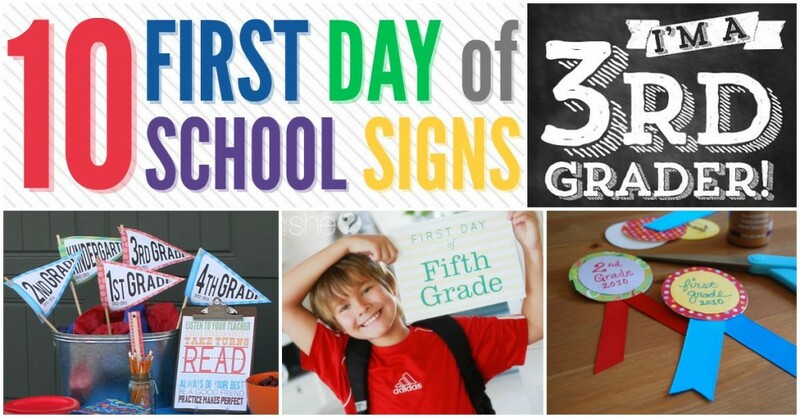 And as you head back to school, don’t miss my roundup of First Day of School Signs. I share a bunch of different ideas so you can easily find some you love and print them right at home! 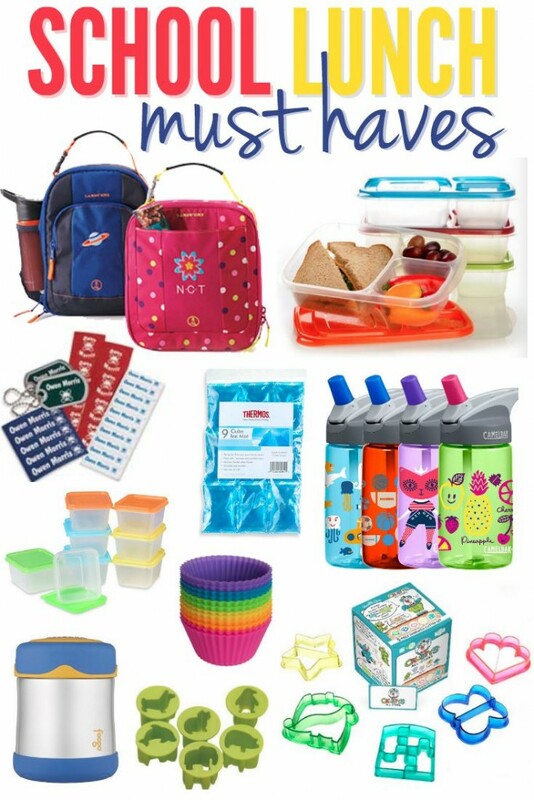 And if you are looking for Back-to-School deals, don’t miss the fabulous finds on backpacks, supplies and more that I share on Saving with Shellie! What fun little gadgets! I really love those cute little lunch bags and the labels! What a great list! This makes me really miss making bento lunches for my kids, but now that they are in middle school its not “cool” to take lunches sadly. I used to make bento lunches for my husband all the time but should look into it again now that my toddler is starting preschool. 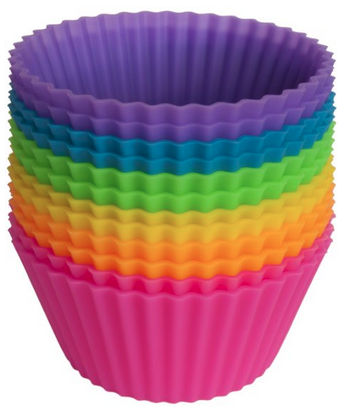 I couldn’t find the silicone muffin containers last time but will look again as those are really cool. Love Mabel’s Labels tough, just got my first shipment for my baby starting preschool this fall! 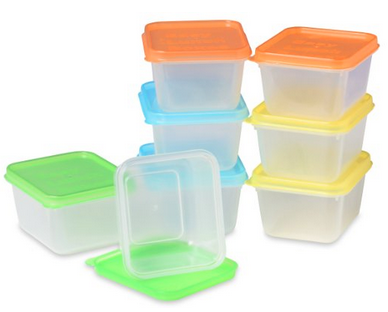 I just got a set of 12 and a set of 24 silicon muffin containers at Amazon. They where about $8 together. Walmart.com has them too but cost more and are in larger packes. Great list! We have a couple of these items, but there are a few more you mentioned that I’d love to try. Thanks for sharing! When you sit the soft lunch boxes up as pictured, with the bento boxes in them…..the lid holds secure? Food stays in the compartments you put them in? The food does stay in the compartments. They are’t leakproof though so keep that in mind. I wouldn’t pack juicy stuff.